There are 4 tools that manipulators use to fulfill their objectives, and 4 things to consider when dealing with manipulators. • Emotional blackmail– Manipulation can be like emotional blackmail. There are common phrases to manipulation, “after all I have done for you..” This phrase highlights a kind of pseudo-protection the manipulator is giving to his or her victim through time. The phrases and behavior generate panic because the manipulator tries to make his victim believe that they need each other, the victim cannot survive without the manipulator. 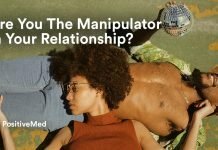 Manipulators can be partners, parents, friends, and bosses, its anyone who makes you feel not good enough or smart enough and takes care of you. • Inoculation of guilt– This is trying to make the victim feel guilty in the relationship, or making the person responsible for the lack of harmony. The manipulator often assumes the role of victim. • Psychological Violence– This is as serious as physical violence, physical violence is evident by itself and can be checked by a doctor, psychological violence is hard to prove. 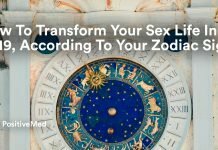 The manipulator often uses phrases that seem innocent and are often automatic, such as “you are useless,” or stupid, incompetent, all phrases that humiliate or ridicule with the intention of lowering self-esteem. The process allows loss of identity of the victim, for the sake of pleasing the manipulator. • Emotional indifference– Generally the manipulator avoids speaking about particular issues and doesn’t explain their feelings. Increasing Self-esteem: Be aware of the level of security you have in yourself. You really are better than you sometimes think. • Loss: Believe that you can lose something and survive, maybe even be better. It can be helpful to write down things that hurt your self-worth. 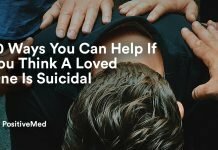 Be sure to seek professional help if needed. Once someone realizes he is being manipulated they can be shocked. Anger, frustration grief, and separation can occur and are completely natural. 1. What do I want from now on? The past cannot be changed, we cannot let our past block our dreams of the person we want to be in the future. Sit down and think about your future goals and dreams, a notebook may help for detailed plans. 2. What do I not want? Decide how you are willing to be treated, and the steps you will take to ensure that happens. 3. How much am I willing to risk for my dreams? Once you answer the question evaluate your abilities. Be sure you’re willing to go the extra mile and do something for yourself. Know your limits and situation. 4. What do I need to feel good? YOU are the only person in the universe that knows what is best for you.